Divers need to have their own gear and will need to come into the store to pick it up. It is recommended to do this 2 or 3 days before the dive. Important to note that there is a gear checklist included with the directions. Our staff is good at what they do but they are human so please review the checklist before leaving the store. You can find the checklist and directions to the dive site attached. The beach dives will be in 50 – 56 degree cold water. This means to stay warm we will be using thick 7mm 2 piece suits, 3-5mm gloves, 5-7mm hoods and open heal fins used with 5mm boots. This additional buoyant gear means we will need to dive with more lead weight. A 180lb diver may carry 30lbs of lead around their waist or distributed into the jacket. This kind of diving is very different from the warm water Hawaiian or Caribbean diving that requires shorts, t-shirt and 4lbs of lead. If you have done most of your diving in warm water let us know so that your guide can better serve you. Be prepared for an adjustment. We rent the rest of the items needed. That is a 2 piece wetsuit 7mm, BCD, weights and belt, hood 5mm and cylinder. The diving in Monterey can be great some days and other days the viz may be a bit short with large waves at the entry. If we are lucky we will see a flat day with sea lions, sea otters and everything else living in the kelp forests of the bay. How long is nitrox online? Anywhere from 4 to 8 hours is what we have heard from students. What’s this about staying at the lake after diving? You should get a hotel or campsite somewhere around the lake at Lake level. You will need to stay at lake level for some time after the dives. Diving at altitude and at lake Tahoe creates a challenge regarding decompression and flying after diving. Leaving the lake after diving the lake requires you to drive up and out of the Tahoe basin. This means you are flying after diving. Your instructor will elaborate more on the subject and your Advanced diver manual contains more information regarding the subject. Most dive computers today calculate time to fly information at altitude. Check your computer’s user guide. Should I get a hotel in Lake Tahoe for the Altitude Program? Lake Tahoe is a 4 hour drive from San Mateo (without any traffic). You will really want to get a hotel for the Altitude Course. We unfortunately cannot reschedule our class dates around events that are happening in Tahoe – but you can always choose a different weekend to go. Understand the hotel’s cancellation policy. Courses are sometimes canceled due to weather. Can’t find a hotel in Monterey: Try outlying towns. There are a lot of great tools out there today to help you find a place to stay such as www.expedia.com, www.priceline.com, www.Google.com and tripadvisor. Was I supposed to be contacted after signing up for the Altitude Program? Yes! after registration a very important welcome e-mail with detailed instructions is sent to you. If you have not been e-mailed then please contact the store immediately and confirm that your contact information on file with us is correct. Check your spam folders and review any messages left on your voice mail. Why can’t I rent Personal Gear for the Altitude Program? This is not a snorkeling class in Hawaii! Personal gear is life support and must fit properly. It must be perfectly sized and proofed before attempting to take it down to 60-100 feet in open ocean. The last thing you want to do is blow your checkout dives because of a rental mask that leaked and a snorkel that has been in 1500 other peoples mouths before yours. We are a diving school first and retail store second. Stocked equipment is selected and placed on the shelves by instructors that teach on a weekly basis. They want nothing to go wrong with you and yours at 50 feet – they know what works and what does not. We understand when a diver candidate is planning to backpack through Thailand and does not want to carry it – In that case we say stick to snorkeling and stay clear of diving until you are ready to commit and take it seriously! All of us here have witnessed first hand the failed use of child like snorkel kits bought from save mart or borrowed poorly fitting masks from uncle Bob. Please buy from the store you are taking lessons with and get some good personal gear. Cutting corners by purchasing from “Cost Mart” will only set you back with a re-buy. Plastic lens masks and flimsy child sized snorkeling fins will not do for open ocean diving. Saving $20 on a cheap pair of fins is not worth it when they fall off 60 feet below the ocean’s surface. Please plan your class at least one week in advance. This will allow you ample time to choose your personal gear. Please do not wait until the last minute. We may not have your size or color choice available. Scuba Fusion now offers a no questions asked exchange policy on personal gear. During your class, if you are not comfortable with it in the ocean – exchange it for another or take store credit. Your instructor will encourage you to do so if your personal gear is not working for you (Policy good for Scuba Fusion students only during the lake diving portion of the Altitude course). Is there homework for the altitude course? Yes! You will want to get started on the homework at least 7-14 days in advance of your class start date. This means filling out the Knowledge Reviews found at the end of the Altitude chapter found in the Advanced Diver manual which you must pick up at the store. Come to the store to purchase your Advanced Diver Manual. Divers can borrow Instructional gear from the store for this trip (does not include: mask, snorkel, boots, fins and gloves). However, we recommend bringing your own gear. Trips like this are a great opportunity to acclimate to a new BC, get to know your new dive computer, or take a shot at underwater photography. You will be in the company of instructors who can help you with your new toys. You will of course need to carry your own gear to the site. A dive computer is absolutely a priority purchase for this trip!!! The guides are not responsible for keeping track of nitrogen levels in your body. Take things into your own hands and be safe. 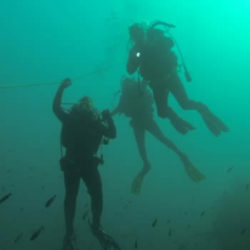 You may conduct or partake in multiple dives in a single day with different divers and different guides. You must be able to monitor your nitrogen levels yourself. Needed equipment as far as dive tables go can be used but will limit the amount of dives as well as your bottom time. Tables are not recommended for this trip. Should I get a hotel in Monterey for this course? It depends on the course you are taking. Monterey is a two hour drive from San Mateo. For the beginner open water dives We recommend staying in a hotel at least Saturday night and also Friday night if you have the means. Monterey is a good 2 hour drive from San Mateo and the class meeting time is usually 7am. It can be hard to wake up and make the drive down and back and down and back again. You will really want to get a hotel for the Advanced course. This is because the course usually has a night dive that ends late Saturday night. The boat leaves harbor usually very early the next morning for the boat dives. Single day tours and other courses will depend on the schedule. Be aware Monterey is an event town and hotel prices tend to be very high during certain times of the year. Monterey is host to auto shows, motorcycle races and air shows. Book your hotel early and coordinate your class dates appropriately. Our class programming schedules are setup months in advance. We unfortunately cannot reschedule our class dates around events that are happening in Monterey – but you can always choose a different weekend. Can’t find a hotel in Monterey: Try outlying towns such as Salinas, or Santa Cruz. Or you can always drive back after the classes but we don’t recommend it. 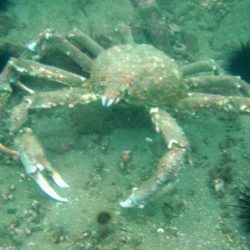 The address of the Breakwater dive site is 32 Cannery Row 93940. I booked the Advanced course online now what? An e-mail welcome message should arrive shortly with important instructions. You must come to the store as soon as possible to size instructional gear, fill out the medical waiver, pickup homework and get personal gear. If you do not receive a welcome message from your instructor and it has been more than 24 hours after your online booking – call the store immediately. Confirm your contact information is correct in our system and check your spam folder. Was I supposed to be contacted after signing up for the Advanced course? I am a warm water diver is Monterey Advanced Course for me? If you are coming from warm water and have not been diving in cold water – try one of our beginner guided dives in Monterey before attempting the Advanced course. We love to dive in beautiful tropicalesque Monterey. It’s just a 90 minute drive from San Mateo. And on a hot summer’s day with crystal clear water it is akin to a day on the beach in Hawaii. However, it can be a difficult learning experience for beginner students who are not comfortable in the ocean, are extremely prone to seasickness, or are claustrophobic. The water is cold, 50ish degrees, so we wear thicker wetsuits, gloves, which require us to wear more lead weight than you wore on the nice fun Hawaii dive complete with Chi Chis. 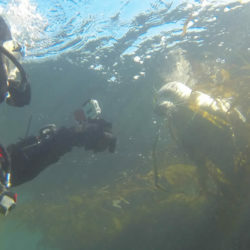 The extra weight and suits make learning to dive in Monterey challenging. Why can’t I rent Personal Gear for the Advanced course? This is not a snorkeling class in Hawaii! Personal gear is life support and must fit properly. It must be perfectly sized and proofed before attempting to take it down to 60-100 feet in open ocean. The last thing you want to do is blow your ocean advanced dives because of a rental mask that leaked and a snorkel that has been in 1500 other peoples mouths before yours. We are a diving school first and retail store second. Stocked equipment is selected and placed on the shelves by instructors that teach on a weekly basis. They want nothing to go wrong with you and yours at 50 feet in Monterey – they know what works and what does not. We understand when a diver candidate is planning to backpack through Thailand and does not want to carry it – In that case we say stick to snorkeling and stay clear of diving until you are ready to commit and take it seriously! All of us here have witnessed first hand the failed use of child like snorkel kits bought from save mart or borrowed poorly fitting masks from uncle Bob. Please buy from the store you are taking lessons with and get some good personal gear. Cutting corners by purchasing from “Cost Mart” will only set you back with a re-buy. Plastic lens masks and flimsy child sized snorkeling fins will not do for an Open Water Course. Saving $20 on a cheap pair of fins is not worth it when they fall off 60 feet below the ocean’s surface. Please plan your class at least one week in advance. This will allow you ample time to choose your personal gear. Please do not wait until the last minute. We may not have your size or color choice available. Scuba Fusion now offers a no questions asked exchange policy on peersonal gear. During your class, if you are not comfortable with it in the ocean – exchange it for another or take store credit. Your instructor will encourage you to do so if your personal gear is not working for you (Policy good for Scuba Fusion students only during the ocean portion of the Advanced course). Is there homework for the Advanced course? Yes! You will want to get started on the homework at least 7-14 days in advance of your class start date. This means filling out the Knowledge Reviews found at the end of each of the assigned chapters in the Advanced Diver manual which you must pick up at the store. Homework is required to be completed before class begins. If you purchased the Advanced course eLearning program then it must be complete before certification can be issued. eLearners receive a Access pass by e-mail that allows them to get started on the program as soon as possible. You will also receive a welcome e-mail from your instructor assigning the elective dives. If you do not have your Access pass check your spam folders if not there then call the store. Do I have to visit the store before the Advanced Course starts? Yes! Come to the store 7 – 14 days before the course begins to pickup the Advanced manual which houses the homework. You will want to size and reserve any rental gear you may need (wetsuit, bcd, reg set etc). Liability and medical information must be filed at the store. You will also need some personal gear for this course. There is a lot to be done before a PADI scuba class begins and it cannot be done remotely due to standards set fourth by the scuba training agency. You should receive a welcome e-mail with instructions that explain in detail the steps required to be ready for your upcoming program. Is there a video for the Advanced Course? Yes! there is a video published by PADI for the Advanced Course. However, it is not required viewing and we do not provide it unless you would like to purchase it from our store. Airfare can be added to the trip making the total price of the trip $3499. The carrier would be PI Air and your flight would depart from SFO, LAX, or Las Vegas depending on your choice and fly direct to Manila round trip. How Many Days of Work Will I Miss? If you fly out Friday night on PI Air and return on Sunday the following week you should only miss 5 days of work. Once a deposit has been paid your reservation is secure. Your trip leader will get in touch with you shortly using the contact information you have provided. Full payment must be received 60 days prior to departure. I paid a deposit now what? Start packing! Who Am I Staying With: Prices are for double occupancy. We will of course arrange to have you stay with whomever you signed up with. The resort will attempt to pair like minded dive buddies once they have more details. Rooms will be assigned on a first come first serve basis at time of check in. Bed sizes and specific locations are on a request basis only and cannot be confirmed. I Want a Single Room For Myself: $480 extra will ensure a week of solitude in a single room all by your lonesome. Non Divers: $200 less the advertised price of the package. We suggest non divers sign up for scuba lessons. This trip allows for Referral divers to finish their checkout dives while at the resort. Contact the store for details. Passport: All foreign nationals need a passport (valid for at least 6 months) to enter the Philippines. Citizens of some countries may also require a visa. Deposit: Reservations should be made as far ahead as possible. A $300 per person deposit is due the day of booking. Final payment must be received 60 days before departure. Reservations will not be held if payment is not received. Can I dive if I am not a certified diver? Yes, the trip is a great way to become a certified diver by completing the PADI Open Water certification. This is something that takes as little as 4 days. Then you can spend a few days diving with your travel buddies. Can I snorkel from the beach? Yes, we have a marine protected house reef for snorkeling and diving from shore. What is the water temperature? Depends upon the time of year. Generally 80-82 degrees. Is your pool salt or fresh water? All of the pools in the resort are freshwater. Do I need a watch? You definitely need a Dive Computer! Can I change money at the resort? There will be an ATM at our first breakfast stop, but money exchange in the US prior to departure is recommended. They do not take dollars so you will need some local currency. If you have racked up a hefty bar tab (at 50 cents per beer) you can pay the tab using any credit card except Amex. In Puerto Galera and most major Philippine cities, all credit cards are acceptable. What about tipping? We suggest $5-10 for the Boatman and $20-25 for the Instructor and Divem There is a tip jar for the resort staff. Tip only if you are satisfied with the service. What meal plan do you provide? The resort provides buffet meals 3 times daily – including fish, meat, soup and vegetable dishes – plus snacks. The chef is happy to accommodate special requests and dietary needs. Let us know your dietary needs at the time of booking. The food is excellent and it is something we look forward to each trip! Do you cater to vegetarians or vegans? We are able to provide vegetarian, vegan, gluten free meals as well as for allergies you might have. Please just let us know of any special dietary requirements that you may have. Do you provide kids meals? Kids eat what Adults eat! Let us know if you have a request. Are the rooms smoke-free? The resort caters to an international clientele who may smoke. Do you have a safe in the room? No, but the main office can house valuables for you. What is your power supply? All electrical power is 220V and the socket is American Standard. Do you have laundry service? Yes, for a nominal fee. Do you have phones or TV in the rooms? The resort’s focus is on relaxation, rejuvenation and diving adventures. Does the resort have phone , fax and internet? Yes, for nominal fees. But the Wi-Fi is spotty! Cell Phone Coverage and Rates: Contact your service provider. The cost for International Roaming will be rather pricey but may come in handy in case of emergency. Can I drink the water from the tap? The resort provides filtered water. Does it rain a lot? In the summer season (April), no. In the winter season (October), rains fall hard in the morning and clear up in the afternoon. Are there mosquitoes? Mosquitoes are often found at dawn and dusk. Bring repellent. Is it ok to bring young children to the Philippines? Yes, it is safe. Do you have baby sitters available? Nannies are available for a fee. What vaccinations do I need? Vaccinations are not required. Do you have a doctor on property? The resort does not have a doctor on the property. However, a decompression chamber and hospital are nearby. Is the Philippines safe? Yes! The Philippines is a safe country. However, like everywhere else, you need to exercise caution. Do not wear flashy jewelry and carry large amounts of cash. We will not be visiting the very south of the country (Sulu Archipelago) where there would be an issue. What language do they speak in the Philippines? Tagalog, but most everybody speaks English extremely well. What kind of night life to you have at the resort? None, this trip is focused on Diving! However, the Puerto Galera day trip is a great way to sample local culture. Can I buy souvenirs at the resort? No, so don’t skip the Puerto Galera trip! Do you have a spa? Divers can visit a local spa ($50-100) or opt for in-room massages ($25). Can we get married at your resort? Only Catholic Church weddings are recognized in the Philippines. The price for the trip is only $2499 without airfare. Several carriers run flights to Manila, but Philippines Airlines offers the only direct flight. Divers who schedule their own flights can meet up for the resort shuttle before departing for the resort. Airfare: Airfare can be added to the trip making the total price of the trip $3499. The carrier would be PI Air and your flight would depart from SFO, LAX, or Las Vegas depending on your choice and fly direct to Manila round trip. Divers will meet up for the shuttle before departing for the resort. Included: Airfare as well as airport taxes are included at the $3499 price. Some divers will choose their own airfare and airlines at the $2499 price. Ground transportation is included from the airport to the resort as long as you are able to meet the trip schedule. Divers arriving earlier or later than the 5am meeting time will need to provide their own transportation to and from the resort and airport. Also included is 8 days 7 nights with Acacia Resort http://www.acaciadive.com, 3 boat dives a day, 1 Divemaster per 6 divers, Unlimited shore diving, Day Trip to Puerto Galera, All meals at the resort (3 gourmet meals daily plus snacks), hotel taxes included. Not Included: Scuba equipment, alcoholic beverages from the full bar, Philippines Sales Taxes, gratuities (to divemasters, resort staff). A note about ground transportation: Ground transportation is included from the airport to the resort as long as you are able to meet the trip schedule. Arrive a day late on a different flight means you may need to move yourself from the airport to the resort. All rates are per person and quoted in U.S. Dollars. Rates are subject to change without notice. Add Ons: Trips like this are a great place to get certification cards in specialty areas of diving. Our instructors will be on-site and are happy to teach Open Water and PADI Advanced Classes. Additional fees may apply. Contact the store to see available options. Arrival: Divers from Scuba Fusion will meet at the Ninoy Aquino International Airport or NAIA Manila International Airport Terminal 2, Philippine Airlines at 5 am (contact your Divemaster/Instructor to confirm meeting location). From there we will board the shuttle for a 2 hour scenic drive to the resort. On the way to Acacia Resort, we will stop for breakfast buffet (not included) overlooking a tropical volcano. Cancellation policies applies regardless if airfare was included in the price. There are no refunds for any unused portions of the package, missed dives, meal losses, or gear rentals. Diving days are not transferable. Please allow 30-45 days for refunds to processed. If cancellation occurs 60 days or more prior to trip start date, a full refund including 50% of deposit will be given. If cancellation occurs within 30-60 days prior to trip start date, a 50% refund including 0% of deposit will be given. 0% refund and 0% deposit will be given if cancellation occurs within 30 days prior to trip start date. Cancellation policy applies regardless if airfare was included in the price. There are no refunds for any unused portions of the package, missed dives, meal losses, or gear rentals. Diving days are not transferable. Please allow 30-45 days for refunds to processed. Weather Cancellation: Scuba Fusion and its instructors are not responsible for any expenses incurred by any customer or guest in the event that this or any part of this trip is canceled due to severe weather conditions, terrorist acts or acts of god. What happens to the money I used to pay for this trip: Much if not all of monies paid are dispensed to the resorts, ground transportation companies, air (if opted), dive instructors, dive masters, tour guides and the like. We recommend signing up for Dan Trip Insurance. Gear Losses: Scuba Fusion Dive Center, its staff, assistants, Instructors and affiliate instructors are not liable for any diving equipment rented or personally owned that has become damaged, lost or stolen while traveling with the Scuba Fusion Dive Center, its staff, assistants, Instructors and affiliate instructors. Obtaining Dan Insurance is very highly recommended. Personal Items Lost or Stolen: Scuba Fusion Dive Center, its staff, assistants, Instructors and affiliate instructors are not liable for any personal items damaged, lost or stolen while traveling with the Scuba Fusion Dive Center, its staff, assistants, Instructors and affiliate instructors. Dan Insurance!!! Privacy: We use security measures to protect against the loss, misuse and alteration of data used by our system. We will never share, sell, or rent individual personal information with anyone without your advance permission or unless ordered by a court of law. Information submitted to us is only available to employees managing this information for purposes of contacting you or sending you emails based on your request for information and to contracted service providers for purposes of providing services relating to our communications with you. Divers can opt to rent their gear from the resort (+-$30 daily) or Scuba Fusion ($99 for the trip duration). However, we recommend bringing your own gear. Trips like this are a great opportunity to acclimate to a new BC, get to know your new dive computer, or take a shot at underwater photography. You will be in the company of instructors who can help you with your new toys. You will of course need to bring your gear to the Philippines. JR is not your sherpa! The typical diver packs a 3mm full length wet suit and fins with booties to keep warm, as well as protect them from rusty shipwrecks, small critters and sunshine. A surface marker buoy (SMB) is a must for taking advantage of shore dives and providing added safety in current. A personally owned BCD is a must for dive travel. Rental BCs vests are almost always of low quality and are uncomfortable to wear. Renting also makes dialing in your buoyancy difficult for you. Regulator set: Again, rental regs are junk. They breathe poorly, are rarely tuned, and can really take away from your overall experience. 50 people have slobbered all over the same mouthpiece that you are about to rent for the next week…yuck! Personal mask, snorkel and gloves are also needed. As a certified diver you should already have this equipment. To participate in night diving or the Advanced Class, you will need to bring a dive light (200 lumens or more). You will also want a light for wreck diving, getting better photos and for seeing at night when the power goes out in your room. Cylinders and weights are included and waiting for us at the resort. Do people fail this program? The PADI Scuba class and pool program as well as the ocean checkout dives program are both pass or fail program. The staff at Scuba Fusion would love to guarantee successful graduation of every student. However, it is just not possible to do that. What they promise do is facilitate a comfortable learning environment engineered and standardaized by PADI (the training agency) to give each student a reasonable block of time to learn the basic skills needed to graduate. Statistically speaking diving is a very safe activity. However, it can be an unforgiving activity. Therefore each student must reach a certain degree of comfort in each of the three portions of the course; Academics, Pool and Ocean Dives. The training fees do not purchase certification and are non-refundable. Referral paperwork and or the certification card is provided as a graduation present and does not need to be purchased. What are some of the reasons people fail this program? Showing up with poorly fitted borrowed gear that grand dad gave them from his days as a see bee. Older gear that pre-dates the Mesozoic era is dangerous. Innovations have been made that increase diver safety as well as comfort. Leave the old gear at home this is not an episode of The Antiques Road Show. Not starting/completing homework or eLearning before the first class session is a bigger deal than people think! The homework/eLearning really gives people a clear idea of what to expect and really prepares them to receive instruction. There are quizzes and exams that are taken during class sessions – the final exam is pass or fail. Not coming to the store 7 – 14 days before class begins to pickup student materials (homework) size instructional gear and to size personal gear. There is no time to do this the morning of first class. There is a short period for lunch and you need to eat before spending 3-4 hours in a pool. Your instructor needs a break and he/she will be at lunch and not fitting you for boots and fins during their lunch break because you couldn’t find a little time in your schedule to visit the store. Come to the store and get prepared 7-14 days prior to your program. Choosing not to wear one of our wetsuits during the pool sessions. Our suits are included for you to use at no charge. Yes, the pool is heated but after 3 hours in the water even the toughest guy will be shivering. We have had people drop out because of this bravado tough guy nonsense. Answering “yes” to a question on the PADI medical questionnaire and then showing up to class without having a signed waiver from a doctor. Understand that your instructor is a independent contractor who follows the rules set fourth by PADI and not the store you are taking lessons with – Scuba Fusion has no say in this matter. Your instructor cannot instruct you without a waiver. If there are all “no” answers on the medical then you do not need a waiver. This PADI standard has created “drama” more times than once for our store. Please don’t be like the last nice family of three sent home at the first class meeting. Their trip to Maui was scheduled for three days later. Buying cheap costco wallmart masks and fins has got to be our biggest pet peeve. The instructors do not get commissions for selling masks and fins. We want you to have good gear for safety reasons and to better your chances of having a great first diving experience. This is not a snorkeling class in Maui. You will be training to depths of up to 60ft wearing heavy diving gear. Proper fitting gear is critical in this sport. Your personal gear is life support and you need to try it out in a pool before going to the ocean for your checkout dives. Work out the bugs using the gear you purchase from us (you can exchange it) Plastic lens masks and flimsy child sized snorkeling fins will not do for a scuba course. Saving $20 on a cheap pair of fins is not worth it when they fall off deep below the ocean’s surface. Buy from the Scuba Fusion store! You can exchange the gear during the program. Your instructor will encourage you to do this. Most students will swap out their first mask or fins set during the first weekend to correct issues such as leaking mask or fins hurting their ankles. Again, students of Scuba Fusion can exchange purchased personal gear or take store credit. You cannot know how a mask will fit until you are in the water. (Policy good for Scuba Fusion students only during the class/pool portion of the Open Water Course). Not being able to swim! You don’t need to be a strong swimmer or an athlete to scuba dive, but some degree of comfort in the water certainly helps. The PADI swim test or swim evaluation will be conducted at the pool. Divers will demonstrate that they can comfortably maintain themselves in water too deep in which to stand by completing a 10-minute swim/ float without using any swim aids. Candidates will also complete a 200 metre/yard continuous surface swim or a 300 metre/ yard swim with mask, fins and snorkel. The test is pass or fail but can be retaken at the next available pool class – the first retake is free of charge. We want you to pass the swim eval and are there to coach you through it with some good proven methods. Showing up late repeatedly! We get it the discover resort try out scuba class you took in Maui last year didn’t care if you were late or even showed up with a Chi-Chi in your hand during instruction. Here for certification courses the class sessions, pool dives and ocean dives are part of a carefully structured learning process established by the Professional Association of Diving Instructors (PADI). The sessions are sequential meaning that if you are absent for the first you cannot participate in the 2nd, 3rd or 4th. Your instructor has been scheduled and compensated to facilitate the program during the hours of your published schedule and no more. Conducting a class pool program and or open water dive weekend is a difficult task requiring time and energy. If you feel that you may be late contact us and we can talk about solutions – additional fees may apply. Not learning to setup and check their personal and instructional gear. It is your responsibility to learn to set up scuba during this program. Not your girlfriend, boyfriend, sister, mom, dad, son, daughter, brother, uncle, gran dad, partner, wife, husband, the person who talked you into taking the class or anybody not listed (especially Bob). Standards are clear you need to be the one setting up your scuba gear and your instructor will check. Divers who wish to do their class and pool work here and then complete their 4 ocean dives at another dive shop somewhere else can do so as Referrals. Referral divers take referral paperwork with them to their next dive shop. The paperwork is proof in hand that the diver candidate has completed all class and pool requirements. Referral paperwork will be issued at the completion of the class and pool sessions only if all course requirements have been met and all homework has been turned in. Referral paperwork is valid for 12 months after the last class or pool session. A $100 discount is available to you toward the purchase of a drysuit from Scuba Fusion. We sell Aqualung and Bare drysuits. The quality to price ratio of these suits are impossible to beat. Come to the store and get fitted for your new suit well before your class begins. We may not have your size and orders usually take a week. It is not recommended to rent a drysuit for many reasons. Firstly each time you rent a suit you will be going through a whole new learning curve. Each suit model behaves differently and must be learned. Ask yourself if you can escape a runaway ascent using techniques learned during your course with a rental suit you have never worn before on a deep dive in Greenland? Renting suits should be avoided if possible. Also, most shops including Scuba Fusion do not rent drysuits regularly. The boots on drysuits also vary. Some are hard boots that are very large and some are soft. Will your existing fins fit over a rental drysuit in Seattle? If you are of a unique body shape and size chances are rental departments will not carry it. However, we do have a small selection of suits for this course available to you for a fee. We do not rent suits to the public and they are only available to drysuit students during the drysuit course. Get fitted for a instructional renal suit with hood undergarments and any instructional diving equipment you need for the course. This must be done a week or more prior to your drysuit program. If you are of a unique body shape and size we may need to alter one of our rental suits so that it will fit you properly – this takes time to do. Suit availability is also limited. We cannot guarantee that we have a suit that will fit you. Your boots and fins may not be compatible! Be aware that dry suits come with built in socks. These socks tend to increase your foot size. Your existing boot and fin combination may not work for the drysuit program. A new pair of boots and or fins may be in your near future. Many dry suit divers have two sets of fins – one for wet suit diving and another for dry suit diving. Yes! The Padi Open Water video is included free for viewing but only divers who have chosen the class academic option are required to watch it. The video (or instructions on how to access the video online) is lent out for you to borrow and can be found inside your student kit. eLearners have video sections built into their online program and do not need to watch the video. If you would like to purchase the dvd it is available in our retail store. I booked online now what? An e-mail welcome message should arrive shortly with important instructions. You must come to the store as soon as possible to prepare for your class. What to do will depend on the class you signed up for. For the Open Water class students need to size instructional gear, fill out the medical waivers, pickup homework and get personal gear. If you do not receive a welcome message from your instructor or no one has called you and it is 5 days or less before class – call the store immediately. Confirm your contact information is correct in our system and check your spam folder and phone messages. Was I supposed to be contacted? Yes! after registration a very important welcome e-mail with detailed instructions is sent to you. Also, approximately 7 days before the start of your class a staff member will call you by phone to make sure you are ready to start. If you have not been e-mailed or called then please contact the store immediately and confirm that your contact information on file with us is correct. Check your spam folders and review any messages left on your voice mail. Where is my eLearning access pass? If you have signed up for the eLearning program: To begin the eLearning program each diver will need to be given an access pass. Access passes are issued by Scuba Fusion via e-mail through the Padi store account. We must have you and or your guest’s e-mail in order to issue a pass or passes. 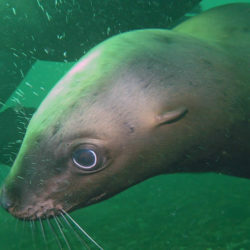 The eLearning system requires each diver to register with an individual e-mail. In fact it is impossible for us to even issue an access pass without you or your guest’s e-mail. During checkout there is an option to include your guest’s information such as name, age, phone and e-mail. We must have this information in order to process referral and or certification forms. eLearners must each provide an e-mail in order to receive an access pass. How do I sign up guests? During checkout there is an option to include your guest’s information such as name, age, phone and e-mail. We must have this information in order to process referral and or certification forms. eLearners must each provide an e-mail. 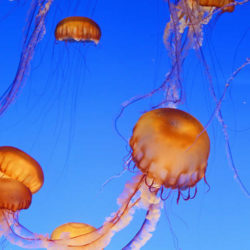 The eLearning system requires each diver to register with an individual e-mail. In fact it is impossible for us to even issue an access pass without one. Do not take this class if you do not want to! Don’t let anybody twist your arm into taking a dive class. We have seen it time and time again where the spouse, son or daughter have been talked into taking the course but really have no interest in diving at all. They usually find it hard to take seriously and can’t find the time to work on the homework. They slow the class down and impose risk on everybody in the water. Don’t let them talk you into it. You are the one getting certified not them getting you certified. Make sure you want to get certified. Please reconsider taking scuba lessons at all. It is a very safe activity but it can also be a very unforgiving activity. If you have little or no interest in diving physics and how the equipment works you may be putting yourself in danger. Take up snow boarding instead. We love to dive in beautiful tropicalesque Monterey. It’s just a 90 minute drive from San Mateo. And on a hot summer’s day with crystal clear water it is akin to a day on the beach in Hawaii. However, it can be a difficult learning experience for beginner students who are not comfortable in the ocean, are extremely prone to seasickness, or are claustrophobic. Thicker wetsuits, gloves, and heavier weight load outs make learning to dive there challenging. Your instructor will elaborate during the course. Students can change their minds about going to Monterey at any time during the course. Your instructor will inform you during the pool session(s) as to weather or not you should attempt Monterey the first time out. 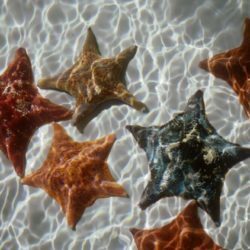 Many will complete their ocean dives and gain experience in a more comfortable environment (Hawaii) and then return to dive with us in Monterey in the form of a tour dive or advanced diving program. Warning: Listen carefully to your instructor during class and pool sessions. He/she will give you important feedback and help make the decision on weather or not Monterey is for you. You will need a car for class! Bring a car or truck to class. Students provide their own transportation to and from the dive center, Monterey and pool, and other meeting places such as Lake Tahoe for the Altitude program. During dive training students will be taking and transporting diving equipment for use in their class. This includes such things as diving cylinders, weight belts, wetsuits and any diving equipment needed for the class. Services such as Uber and Lyft are used by students often. Transporting wet diving equipment can cause damage to stereo equipment, paper documents and anything that may have an adverse reaction to fresh or salt water. If the fact/idea that water may damage a stereo, cell phone or any electronics for that matter is a new concept to you, we would suggest dropping the idea of taking scuba lessons and pursue another less academically demanding sport. Be careful listening to non-instructors! Everybody has an opinion about learning to dive, scuba diving, and scuba equipment. Their opinion may come from a place of inexperience. Listening to their advice may actually endanger you. Listen to the advice of your professionally licensed diving instructor. Your licensed PADI instructor is in the water each week turning novice divers into pros. Has spent years of dedication becoming a better instructor by participating in continuing education. Has attended professional seminars and worked daily with other dive professionals. The only opinion to value is that of your professional dive instructor. A common example of this is older divers of the last generation who continue to recommend dated and inefficient equipment such CO2 inflated BCDs and old black rubber fins once used by navy frogmen in the 40s. A lot has changed in efficiency and safety with training and equipment. Wake up and make your own decisions when learning to dive – it is directly related to your safety and well being. Your instructor may recommend or even require that you retake a exam or participate in an additional pool training session before moving foreward(additional fees will apply). Many of us don’t take this kind of news well and the decision may interfere with your vacation plans. It may also save your life. Your instructor must adhere to a set of standards set by the Professional Association of Diving Instructors(PADI) and the RSTC. He or she has years of experience and training assessing would be graduates. Trust your instructor’s decision. Yes! The PADI Scuba certification is a pass or fail program. The staff at Scuba Fusion would love to guarantee successful graduation of every student. However, it is just not possible to do that. What they can do is facilitate a comfortable learning environment engineered and provided by PADI to give each student a reasonable block of time to learn the basic skills needed to graduate. The training fees do not purchase certification and are non-refundable. The certification card is provided as a graduation present and does not need to be purchased. Statistically speaking diving is a very safe activity. However, it can be an unforgiving activity. Therefore each student must reach a certain degree of comfort in each of the three portions of the course; Academics, Pool and Ocean Dives. We have heard mixed answers. The homework related to the class academic option can take anywhere from 5 – 8 hours to complete. Keep in mind there is also a video that is required viewing. The online option can take anywhere from 6 – 12 hours depending on the individual. It is a very thorough program that encompasses the complete program. Students must answer some medical questions before taking a scuba class. If a student answers “yes” to any of the questions then said student will need to see a physician before continuing with scuba lessons. If you have any questions about the waiver or feel you may be falling into a gray area regarding particular questions, talk to your scuba instructor before answering. If you have already filed a medical waiver with our store it is good for 1 year. If we do not have a copy or it was filed with another store you will need to fill out another. Keep in mind your scuba instructor should never be relied upon to answer medical questions concerning your current or historical state of health while you are answering the medical questions. Your scuba instructor is not your primary care physician. A copy of the medical waiver can be found in the Support / Student Resources area of our website. Why can’t I rent the Personal Gear? 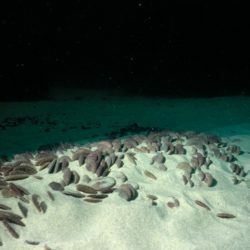 This is not a snorkeling class in Hawaii! Personal gear is life support and must fit properly. It must be perfectly sized and proofed in a pool before attempting to take it down to 60-100 feet in open ocean. The last thing you want to do is blow your ocean checkout dives because of a rental mask that leaked and a snorkel that has been in 1500 other peoples mouths before yours. We are a diving school first and retail store second. Stocked equipment is selected and placed on the shelves by instructors that teach on a weekly basis. They want nothing to go wrong with you and yours at 50 feet in Monterey – they know what works and what does not. We understand when a diver candidate is planning to backpack through Thailand and does not want to carry it – In that case we say stick to snorkeling and stay clear of diving until you are ready to take it seriously! All of us here have witnessed first hand the failed use of child like snorkel kits bought from save mart or borrowed poorly fitting masks from uncle Bob. Please buy from the store you are taking lessons with and get some good personal gear. You will be able to exchange it during pool sessions. This process of trial and error will better your odds of passing your ocean checkout dives. Cutting corners by purchasing from “Cost Mart” will only set you back with a re-buy. Plastic lens masks and flimsy child sized snorkeling fins will not do for an Open Water Course. Saving $20 on a cheap pair of fins is not worth it when they fall off 60 feet below the ocean’s surface. Please plan your class at least one week in advance. This will allow you ample time to choose your snorkeling gear. Please do not wait until the last minute. We may not have your size or color choice available. Yes! You will want to get started on the homework at least 7-14 days in advance of your class start date. This means filling out the Knowledge Reviews found at the end of each chapter in the diver manual included with your student kit You must pick up the kit at the store. eLearners will also have homework in the form of the online program. Homework is required to be completed before class begins. eLearners receive a Access pass by e-mail that allows them to get started on the program as soon as possible. If you do not have your Access pass check your spam folders if not there then call the store. Divers will not be able to receive referral paperwork without first having completed and turned in the homework. Monterey divers will not be able to go to Monterey without first having completed and turned in the homework. If you have questions regarding homework, or feel you may not have it ready before class starts, please inform your instructor. Scuba diving is a nondiscriminatory activity. Anyone with the physical ability to handle the equipment and the emotional maturity to comprehend the rules and take responsibility for his or her safety and that of his dive buddy, can scuba dive safely and enjoyable. There is no upper age limit on learning to scuba dive. Certain conditions my preclude those of any age from diving, temporarily or permanently, especially conditions associated with lung functions. As long as you maintain relatively good physical and mental conditioning, it’s never to late to learn scuba diving. May divers continue into their 70’s and 80’s. The industry standard depth limit for recreational divers is 130 feet (39m) at sea level. During basic scuba certification, students experience depths of 25-60 feet (8-18m), and a “deep” dive is considered more than 60 feet (18m). “Going Deep” is not an end in itself from scuba enthusiasts. 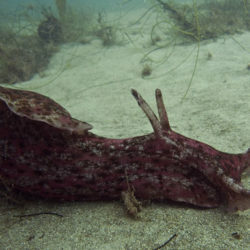 Science has shown that the vast majority of marine species live at depths less than 60 feet (18m). No! We appreciate it when a guest offers to assist or provide moral support to a student during the Open Water Course. However, guest divers are not welcome to participate or assist in any part of the PADI Open Water Diver Course. It is not recommended for certified divers to dive with students during training dives for myriad reasons. One reason is that guests are not licensed or insured to teach the PADI Open Water Course. By assisting they place themselves and the instructor in an unfavorable litigious position. It is also a clear violation of agency standards to have non professionally licensed assistance in class, pool or ocean sessions. The Scuba Fusion Dive Center AND its instructors reserve the right to refuse service to anyone. Why do you need weights? Believe it or not, the human body is quite buoyant. With your lungs, full of air, you’d be hard pressed to sink, especially in salt water. That’s why people have no trouble snorkeling – when you lie flat on the surface with your head in the water, your weight is easily supported, whether you weigh 100 pounds or 300 (45kg-136). Add scuba equipment and you become even more buoyant. Even though scuba tanks will sink when full, divers wear buoyancy compensators (BCs), vests that not only secure the tank to the diver’s back but also contain inflatable air bladders to provide flotation on the surface. Wet suits are made of neoprene, a type of rubber that contains thousands of tine air pockets. These air cells provide insulation to prevent heat loss and in addition add considerable buoyancy. Weight is worn either on a weight belt are can be put in weight pouches that insert into your buoyancy compensator (BC). The amount of weight varies from a couple of pounds (1kg) to more than 30 pounds (14kg) depending on a variety of factors. Salt water, for instance, is more buoyant than fresh water, so about 2.5 percent more weight is required. Is the equipment difficult to learn how to use? The bulky scuba gear worn by many divers may seem intimidating, but learning to use it is straightforward. If you’have snorkeled, you’re already familiar with the mask, snorkel and fins. The scuba unit consists of an air cylinder containing compressed breathing gas, buoyancy compensator (BC) jacket to help you float on the surface and maintain your desired depth underwater, and a regulator for you to breathe through. The exposure protection keeps you warm when diving in cool-water environments. As active recreational pastimes go, scuba diving is one of the easiest to learn. While you’re gliding around enjoying the underwater sights, you’re engaged in only three basic skills: floating, kicking, and breathing. Of course, there’s more to it than that – becoming proficient at using the equipment and developing knowledge of scuba concepts and safety procedures – but if you breathe through your mouth, chances are you can lean to scuba dive. Learning to scuba dive is mostly a matter of attitude. If you are motivated to step through the door into an exciting new world, then the experience will prove both energizing and confidence-building. Class Academics and Pool Training is held in San Mateo the first weekend while the four ocean dives are held in Monterey another. Many students choose to finish their ocean dives while on vacation. This is called the Referral Program and is very popular! Saturday and Sunday are spent doing academics in the mornings followed by pool sessions in the afternoons. There is a lunch break between academics and pool both days. The ocean dives are done in Monterey. Two dives on Saturday and two on Sunday. Because it is a 2 hour drive we recommend staying at a motel to be well rested. Some divers prefer to complete the 4 checkout dives abroad. This is called the Referral program. It is very important to try snorkeling gear before attempting open ocean dives. Masks can leak, poorly fitting fins can cause severe pain and you will not be able to return it to Besty Buyz after its been used. Due to supervisory ratios and standards set fourth by the RSTC and our own concerns for the safety and well-being of your children – the minimum age to take the Scuba Fusion referral or certification program is 12 years of age. Elsewhere in the world there are many children’s programs for children at age 8 to start to get a taste of scuba diving under strict supervision and depths not exceeding 6 feet (2m) of water. This is typically done in a pool. In general, children must be 10-12 years old to be certified as “junior” divers, who may dive only under restricted conditions, such as limited depth and supervision by a scuba professional or certified adult diver. At 15, students receive the same certification as adult divers. Yes! You must bring a swimsuit to your scuba program. Divers generally wear swimsuits under wetsuits. You will need a swimsuit for the pool training and also the swim evaluation. The swim evaluation will be completed at the pool either Saturday or Sunday. Swim Evaluation: You don’t need to be a strong swimmer or an athlete to scuba dive, but some degree of comfort in the water certainly helps.The PADI swim test or swim evaluation will be conducted at the pool. Divers will demonstrate that they can comfortably maintain themselves in water too deep in which to stand by completing a 10-minute swim/ float without using any swim aids. Candidates will also complete a 200 metre/yard continuous surface swim or a 300 metre/ yard swim with mask, fins and snorkel. The test is pass or fail but can be retaken at the next available pool class – the first retake is free of charge. The hardware needed to complete the referral or certification program is included for use during the entire course beginning to end. We will not surprise you with any additional rental fees. The program also includes the needed academic materials for whichever academic/class option you chose during checkout. You simply need to have Personal Gear – mask, snorkel, boots, fins and gloves. 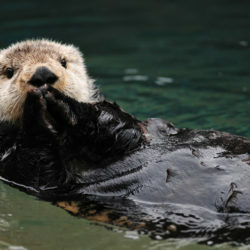 Gloves are only needed if you are planning to dive with us in Monterey. Follow the link below for a visual of the included dive equipment. We have no hidden charges or “Gotchas” at Scuba Fusion. Be careful of complicated pricing structures that purposely give vague descriptions of what’s included and not. Programs advertised at lower than market prices will inevitably frustrate when you discover the extra $$ needed to finish the program. Savvy sales people and dishonest marketing will all turn you away from learning to dive. We want you to dive! Our pricing is 100% upfront competitive and honest. Our referral and certification program is designed to achieve a balance between quality and price. It is priced competitively with neighboring stores ranging from Marin down to San Jose. It is packed with two complete days of training, 6 hours pool time, equipment assembly sessions, small student to instructor ratios, Instructional Equipment, a full-time staff dedicated to just teaching you to scuba and so much more. Scuba Fusion is a 5 star dive center that is focused on scuba diving and scuba instruction. Why is eLearning more expensive? Pricing for the eLearning program is set by our training agency not us. It is a very convenient program for some that allows more time to do other things on a busy weekend. Personal gear is life support and is needed to take lessons anywhere and cannot be rented. A mask, snorkel boots, fins and gloves (gloves optional for referrals) are all that is required. The rest is included free of charge! Get some good personal gear from the Scuba Fusion store because you will be able to exchange it during pool sessions. This process of trial and error will better your odds of passing your ocean checkout dives. Cutting corners by purchasing from “Cost Mart” will only set you back with a re-buy. Plastic lens masks and flimsy child sized snorkeling fins will not do for an Open Water Course. Saving $20 on a cheap pair of fins is not worth it when they fall off 60 feet below the ocean’s surface. Plan your class at least one week in advance. This will allow you ample time to size your snorkeling gear. Please do not wait until the last minute. We may not have your size or color choice available. You will need to have a mask, snorkel, fins, boots and gloves to take scuba lessons anywhere. Get them from the store you are taking lessons with. These items cannot be rented due to comfort, fit and personal safety – this is not a snorkeling class in Maui. You will be training to depths of up to 60ft. Please ask us about course gear before you invest! Cutting corners by purchasing from “Cost Mart” will only set you back with a re-buy. You cannot know how a mask will fit until you are in the water. Plastic lens masks and flimsy child sized snorkeling fins will not do for a scuba course. Saving $20 on a cheap pair of fins is not worth it when they fall off 60ft below the ocean’s surface. Please plan your class at least one week in advance. This will allow you ample time to choose your personal gear. Please do not wait until the last minute. We may not have your size or color choice available. Scuba Fusion now offers a no questions asked return policy on snorkeling gear. During your class, if you are not comfortable with it in the pool – exchange it for another or take store credit (Policy good for Scuba Fusion students only during the class/pool portion of the Open Water Course). You have Two learning Options: Choose the class option if you would like to do academics in class and save money. Or, choose eLearning and do academics at home – all needed academic materials are included with both choices. PADI is the worlds leading scuba training agency – Scuba Fusion is a PADI dive center and proud of it! Make sure your school is PADI and your certification will be recognized worldwide! You don’t need to be a strong swimmer or an athlete to scuba dive, but some degree of comfort in the water certainly helps.The PADI swim test or swim evaluation will be conducted at the pool. Divers will demonstrate that they can comfortably maintain themselves in water too deep in which to stand by completing a 10-minute swim/ float without using any swim aids. Candidates will also complete a 200 metre/yard continuous surface swim or a 300 metre/ yard swim with mask, fins and snorkel. The test is pass or fail but can be retaken at the next available pool class – the first retake is free of charge. How do I book the program? Choose a Class and Pool weekend date that works for you and continue to checkout. At checkout you will need to choose your learning option. Then you can add a Monterey Weekend to complete certification with us. Otherwise skip choosing the Monterey dates and simply checkout – you will be a referral diver by default. With PADI eLearning you complete the academics on your laptop or smart phone. You are excused from class sessions which makes your time here with us a little shorter. Please be aware the above schedules are for comparison reasons only. They are our most common schedule. However, individual class schedules may be different. Drill down to your chosen class dates to see your actual schedule. Or, confirm your class dates at the store. The time to complete eLearning varies because each diver moves at their own pace. When can I start the physical stuff? 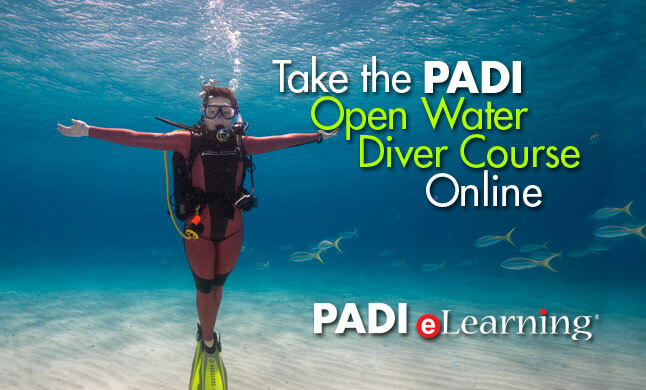 eLearners can start their PADI course while working to complete the online program. How Much Extra Is It? The eLearner program is $169.99 which includes the Access Pass and all needed academic materials for use such as log book and record folders (no hidden charges). I’m sold – What should I do now? Sign up for a diving class and make sure that you select the eLearning academic option at checkout. All academic materials and the Access Pass are included with this option. eLearners get lifelong online access to the PADI Diver Manual. If you booked at the store in person you should have been given a document that describes your class schedule (look in your student kit). If you booked online then you should have received a welcome e-mail with your class schedule (look in your spam folder). Both documents include detailed instructions explaining the steps required to be ready for your upcoming program. A staff member will also call you approximately one week prior to your class to remind you of your schedule. Once you book your class your instructor will welcome you personally using the e-mail you provide during checkout. Come to the store 7 – 14 days before class begins to pickup your student materials, homework, size instructional gear, ask about personal gear and to submit your medical questionnaire. There is a lot to be done before a PADI scuba class begins and it cannot be done remotely. An e-mail welcome message should arrive shortly after checkout with important instructions. If you do not receive a welcome message from your instructor or no one has called you and it is 5 days or less before class – call the store immediately. Confirm your contact information is correct in our system and check your spam folder as well as phone messages. There is homework! You will want to get started on it at least 7-14 days in advance of your class start date. This means filling out the Knowledge Reviews found at the end of each chapter in the diver manual included with your student kit You must pick up the kit at the store. eLearners will also have homework in the form of the online program. Homework is required to be completed before class begins. eLearners receive a Access pass by e-mail that allows them to get started on the program as soon as possible. If you do not have your Access pass check your spam folders if not there then call the store. Students must answer some medical questions before taking the class. If a student answers “yes” to any of the questions then said student will need to see a physician before continuing with scuba lessons. If you have any questions about the waiver or feel you may be falling into a gray area regarding particular questions, talk to your scuba instructor before answering. Keep in mind your scuba instructor should never be considered your primary care physician. A copy of the medical waiver can be found in your student kit/eLearning logbook and also on our website in the Support / Student Resources area. The PADI swim test or swim evaluation will be conducted at the pool. You don’t need to be a strong swimmer or an athlete to scuba dive, but some degree of comfort in the water certainly helps. Divers will demonstrate that they can comfortably maintain themselves in water too deep in which to stand by completing a 10-minute swim/ float without using any swim aids. Candidates will also complete a 200 metre/yard continuous surface swim or a 300 metre/ yard swim with mask, fins and snorkel. The test is pass or fail but can be retaken at the next available pool class – the first retake is free of charge. Do I have to visit the store before the class starts? Yes! Come to the store 7 – 14 days before class begins to pickup your student materials, homework, size instructional gear, ask about personal gear and to submit your medical questionnaire. There is a lot to be done before a PADI scuba class begins and it cannot be done remotely due to standards set fourth by the scuba training agency. You should receive a welcome e-mail with instructions that explain in detail the steps required to be ready for your upcoming program.